Knoxville, TN – No. 20/17 Tennessee (12-4, 1-3 SEC) plays its second straight road contest, as the Lady Vols head to Tuscaloosa to take on Alabama (9-8, 1-3 SEC) on Thursday night, January 17th. 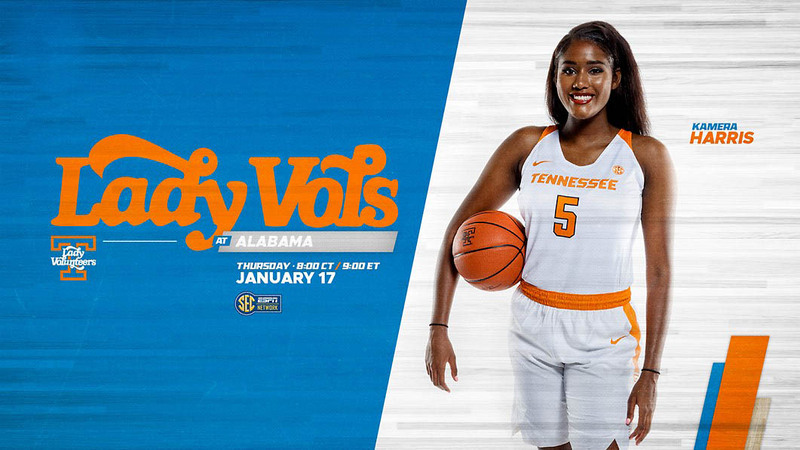 Tip-off is slated for 8:02pm CT (9:02pm ET) at Coleman Coliseum, with the game being carried by the SEC Network and the Lady Vol Radio Network. This marks the 46th meeting between these programs, with Alabama holding a four-game winning streak over the Lady Vols and taking the past two games in Tuscaloosa. In addition to attempting to halt that series streak, the Lady Vols will be seeking to end a three-game losing skid that began on January 6th. UT has lost its last three contests to Missouri (66-64), Kentucky (73-71) and Georgia (66-62) by a combined total of eight points. 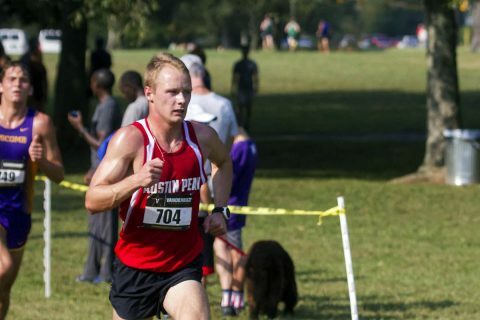 Clarksville, TN – Austin Peay State University (APSU) men’s cross country gets their season underway this Friday with the Southern Illinois-hosted Saluki Invite in Carbondale, Illinois. The men’s race is scheduled to begin at roughly 5:30pm. 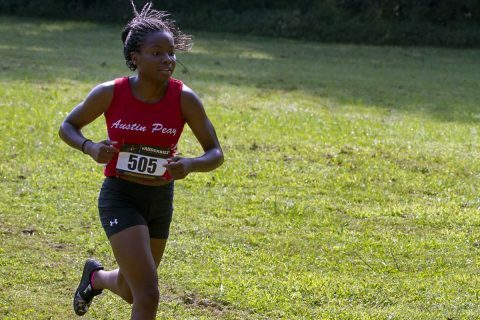 Clarksville, TN – Austin Peay State University (APSU) women’s cross country starts its season off Friday, August 31st, 2018 as the Govs travel up north to Illinois for the Carbondale Opener. The women’s race is scheduled to begin at 5:30pm. Tuscaloosa, AL – No. 15 Tennessee struggled to find any rhythm on offense Saturday night, and its six-game winning streak was snapped by Alabama in a 78-50 loss at Coleman Coliseum. The 28-point game was UT’s worst loss of the season, as the Vols (18-6, 8-4 SEC) shot a season-low 28 percent (16-of-58) from the floor. In the final 10 minutes of the game, Tennessee made only one basket. Alabama (16-9, 7-5 SEC) started the second half on a 15-7 run to help extend its lead to 18 points, converting on four straight trips down the floor. The Crimson Tide had the hot hand and would never look back in the game, knocking down nine of its 12 shots before the under-16 media timeout. Tuscaloosa, AL – Riding a six-game winning streak, No. 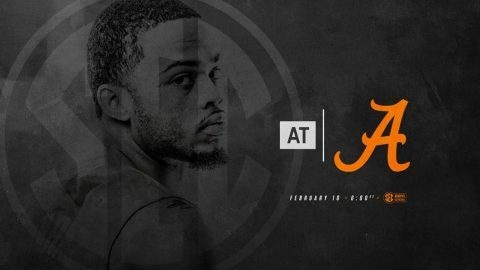 15 Tennessee is set for another tough road game Saturday against Alabama in Coleman Coliseum. The game will tip at 5:00pm CT and will be televised live on SEC Network and streamed online via WatchESPN. The Vols (18-5, 8-3 SEC) are coming off their first win in Rupp Arena since 2006, beating 24th-ranked Kentucky, 61-59, on Tuesday night. Lamonté Turner was the player of the game, draining the decisive go-ahead three with 26 seconds left in the game. He would finish with a game-high 16 points on four treys. The SEC Sixth Man of the Year candidate has scored in double figures in four straight games and five of the last six, averaging 16.2 ppg during the stretch. Lexington, KY – A poised, all-around effort in the closing minutes lifted 15th-ranked Tennessee to a 61-59 victory over 24th-ranked Kentucky Saturday night at Rupp Arena. 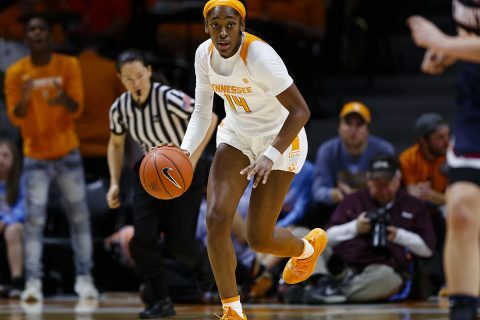 The Volunteers have now won six straight games and stand alone in second place in the Southeastern Conference standings. The triumph was Tennessee’s fifth all-time win over the Wildcats at Rupp Arena (1977, 1979, 1999, 2006). It also gave the Vols (18-5, 8-3 SEC) their first regular-season sweep over Kentucky since the 1998-99 season. 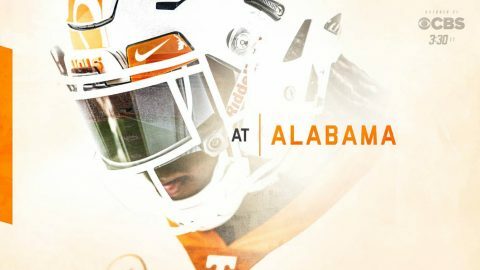 Knoxville, TN – Tennessee heads to Tuscaloosa to face No. 1/1 Alabama on Saturday at Bryant–Denny Stadium. The game will feature a 2:30pm CT kickoff on CBS. Brad Nessler (play-by-play) and Gary Danielson (analyst) will be in the booth and Allie LaForce will report from the sidelines. Vol Network radio affiliates will have a live audio broadcast with Bob Kesling, Tim Priest and Brent Hubbs. 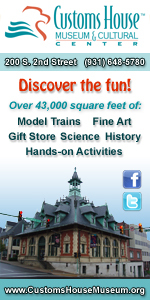 Sirius Channel 138 and XM Channel 190 will also carry a live audio broadcast. Tennessee (3-3, 0-3 SEC) is coming off a 15-9 home loss to South Carolina on October 14th. 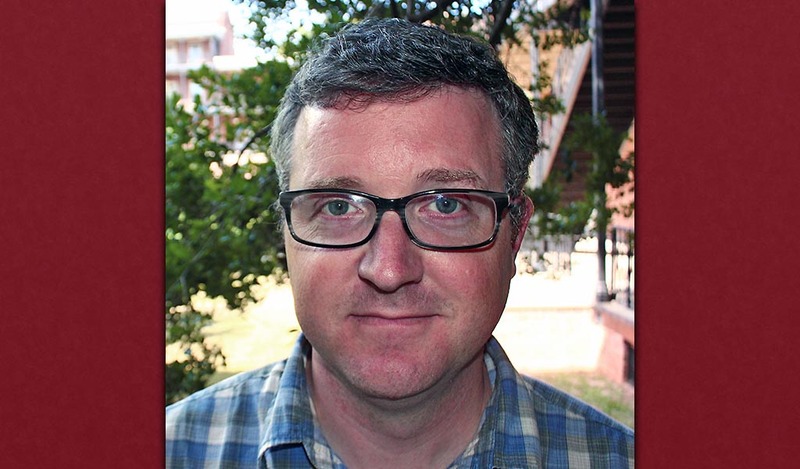 Clarksville, TN – The New Gallery, with support from the Austin Peay State University Center of Excellence for the Creative Arts and the APSU Department of Art + Design, will present Jamey Grimes: Eclipse, to kick off the department’s 2017-18 exhibition season. 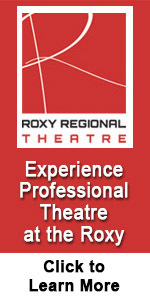 The New Gallery is the new exhibition space in the University’s new Art + Design Building. 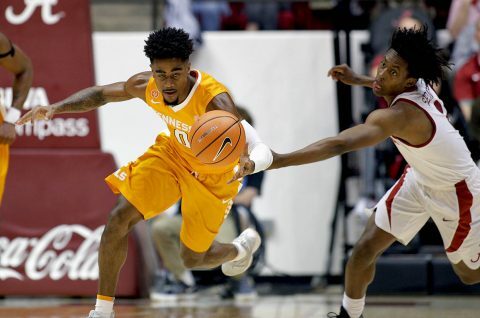 Knoxville, TN – Tennessee plays its regular-season finale on Saturday when it hosts Alabama at Thompson-Boling Arena for a 12:00pm CT tip on SEC Network. Saturday is Senior Day for the Vols (15-15, 7-10 SEC), who will honor its pair of seniors in a brief ceremony before tipoff. 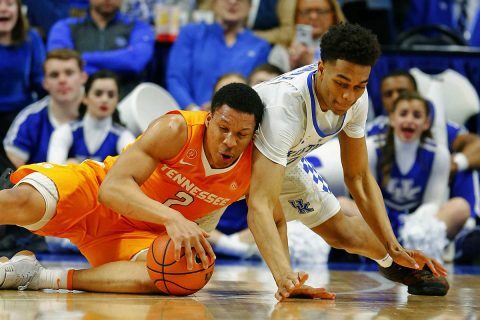 Tennessee will recognize the contributions of four-year senior and 1,000-point scorer Robert Hubbs III as well as graduate transfer Lew Evans. Senior Day ceremonies are slated to begin at 11:40pm.